El tomate (Solanum lycopersicum L.) es una de las hortalizas más consumidas en el mundo y es atacada por numerosas enfermedades, entre las cuales, está la marchitez vascular, causada por Fusarium oxysporum f. sp. lycopersici. El patógeno, por ser habitante del suelo, es difícil de manejar. Una vez el suelo se infesta puede permanecer con el pató- geno por tiempo indefinido. Debido al cultivo sucesivo de tomate en el mismo lugar, la población del hongo aumenta y, por ende, la incidencia de la enfermedad. Aún no se han establecido umbrales de daño económico ni sistemas de predicción, pero se conocen algunas condiciones del suelo, que pueden disminuir la incidencia de la enfermedad, como pH alto o una población alta de microorganismos antagonistas. Se han reportado numerosas prácticas de manejo enfocadas, especialmente hacia el suelo; sin embargo, son pocos los reportes acerca del manejo integrado de la enfermedad. Para la preparación de este documento, se revisó la literatura mundial y se analizó la naturaleza del patógeno, su ciclo de vida y diseminación, conocimiento primordial para realizar un manejo adecuado de la enfermedad; también las diferentes prácticas de manejo y, finalmente, la combinación de estas prácticas. El objetivo de esta revisión fue reunir la información más relevante generada en los últimos años, en torno al manejo integrado de F. oxysporum f. sp. lycopersici, enfocando cada práctica dentro del modelo logístico de Van der Plank, que permite darles una interpretación cuantitativa. 1. ABAWI, G.S. ; BARKER, K.R. 1984. Effects of cultivar, soil temperature, and levels of Meloidogyne incognita on root necrosis and Fusarium wilt of tomatoes. Phytopathology. 7:433-438. 2. ABDALLAH, N.A. ; SHAH, D.; ABBAS, D.; MADKOUR, M. 2010. Stable integration and expression of a plant defensin in tomato confers resistance to Fusarium wilt. GM Crops. 1(5):344-350. 3. ABDEL-MONAIM, M.F. ; ABDEL-GAID, M.A. ; EL-MORSY, M.; EL-MORSY, A. 2012. Efficacy of rhizobacteria and humic acid for controlling Fusarium wilt disease and improvement of plant growth, quantitative and qualitative parameters in tomato. Sci J. Plant Pathol. 1:39-48. 4. AGRIOS, G.N. 2005. Plant pathology. Fifth Ed. Academic Press, Burlington. 635p. 5. AJILOGBA, C.F. ; BABALOLA, O.O. 2013. Integrated management strategies for tomato Fusarium wilt. Biocontrol Science. 18(3):117-127. 6. AMINI, J.; SIDOVICH, D.F. 2010. The effects of fungicides on Fusarium oxysporum f. sp. lycopersici associated with Fusarium wilt of tomato. J. Plant Prot. Res. 50:172-178. 7. ANTOUN, H. 2013. Plant-growth-promoting rhizobacteria. In: Maloy, S.; Hughes K. (eds.). Brenner's Encyclopedia of Genetics (Second Edition). Academic Press, San Diego. p.353-355. 8. BAWA, I. 2016. Management strategies of Fusarium wilt disease of tomato incited by Fusarium oxysporum f. sp. lycopersici (Sacc. ): A review. Int. J. of Advanced Academic Research. 2(5):32-42. 9. BERNAL, M.P. ; ALBURQUERQUE, J.A. ; MORAL, R. 2009. Composting of animal manures and chemical criteria for compost maturity assessment. A review. Bioresource Technology. 100(22):5444-5453. 10. BOOTH, C. 1971. The genus Fusarium. Published by Commonwealth Agricultural Bureaux, for the Commonwealth Mycological Institute. Surrey, Inglaterra. 237p. 11. BORRERO, C.; TRILLAS, M.I. ; ORDOVÁS, J.; TELLO, J.C.; AVILÉS, M. 2004. Predictive factors for the suppression of Fusarium wilt of tomato in plant growth media. Phytopathology. 94(10):1094-1101. 12. BUTLER, D.M. ; KOKALS-BURELLE, N.; MURAMOTO, J.; SHENNAN, C.; MC COLLUM, T.G. ; ROSSKOPF, E.N. 2012a. Impact of anaerobic soil disinfestation combined with soil solarization on plant-parasitic nematodes and introduced inoculum of soilborne plant pathogens in raised-bed vegetable production. Crop Protection. 39:33-40. 13. BUTLER, D.M. ; ROSSKOPF, E.N. ; KOKALIS-BURELLE, N.; ALBANO, J.P.; MURAMOTO, J.; SHENNAN, C. 2012b. Exploring warm-season cover crops as carbon sources for anaerobic soil disinfestation (ASD). Plant Soil. 355:149-165. 14. CASTAÑO-ZAPATA, J. 2002. Principios básicos de fitoepidemiología. 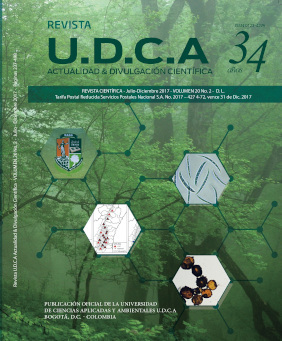 Editorial Universidad de Caldas (Colombia). 396p. 15. CASTRO, P.A. ; RAMOS, J.P. 2005. Determinación de residuos de plaguicidas organofosforados en muestras de tomate de la ciudad de Bogotá (Universidad de los Andes,Bogotá, Colombia). Disponible desde Internet en: http://www.guaica.uniandes.edu.co:5050/dspace/bitstream/1992/661/1/mi_1106.pdf (con acceso 2410/2017). 16. CHELLEMI, D.O. ; WU, T.; GRAHAM, J.H. ; CHURCH, G. 2012. Biological impact of divergent land management practices on tomato crop health. Phytopathology. 102(6):597-608. 17. CORBAZ, R.; FISCHER, S. 1994. The shore fly Scatella stagnalis Fall. Diptera, Ephydridae responsible for transmitting Fusarium oxysporum f. sp. lycopersici in soilless tomato crops. Rev. Suisse Vitic. Arboric. Hortic. 26(6):383-385. 18. COOK, R.J.; YARHAM, D.J. 2006. Epidemiology in sustainable systems. In: Cooke, B.M. ; Jones, D.G. ; Kaye, B. (Eds.). The epidemiology of plant diseases. Dordrecht: Springer. p.309-334. 19. DATNOFF, L.E. ; ELMER, W.H. ; HUBER, D.M. 2007. Mineral nutrition and plant disease. APS Press, St. Paul, MN. 278p. 20. DIXON, G.R. ; TILSTON, E.L. 2010. Soil-borne pathogens and their interactions with the soil environment. In: Dixon, G.R. ; Tilston, E.L. (Eds) Soil microbiology and sustainable crop production. Ed. Springer. (Netherland): p.197-271. 21. ENESPA ; DWIVEDI, S.K. 2014. Effectiveness of some Antagonistic fungi and botanicals against Fusarium solani and Fusarium oxysporum f. sp. lycopersici infecting brinjal and tomato plants. Asian J. Plant Path. 8(1):18-25. 22. FAOSTAT. 2014. Statistical Databases. Food and Agriculture Organization of the United Nations. Roma. Italia. Disponible desde Internet en: http://www.fao. org/faostat/es/#data/QC (con acceso 27/06/2017). 23. FASSIHIANI, A. 2000. Symptomless carriers of the causal agent of tomato wilt pathogen. J. Agric. Sci. Tech. 2:27-32. 24. GAO, H.; BECKMAN, C.H. ; MUELLER, W.C. 1995. The nature of tolerance to Fusarium oxysporum f. sp. lycopersici in polygenically field-resistant marglobe tomato plants. Physiol. Mol. Plant Pathol. 46:401-412. 25. GIRHEPUJE, P.V. ; SHINDE, G.B. 2011. Transgenic tomato plants expressing a wheat endochitinase gene demonstrate enhanced resistance to Fusarium oxysporum f. sp. lycopersici. Plant Cell Tiss. Organ Cult. 105:243-251. 26. GORDON, T.R. 2017. Fusarium oxysporum and the Fusarium wilt syndrome. Ann. Rev. Phytopathology. 55:23-39. 27. HAGE-AHMED, K.; KRAMMER, J.; STEINKELLNER, S. 2013. The intercropping partner affects arbuscular mycorrhizal fungi and Fusarium oxysporum f. sp. lycopersici interactions in tomato. Mycorrhiza. 23(7):543-550. 28. HARIPRASAD, P.; DIVAKARA, S.T. ; NIRANJANA, S.R. 2011. Isolation and characterization of chitinolytic rhizobacteria for the management of Fusarium wilt in tomato. Crop Protection. 30(12):1606-1612. 29. HORINOUCHI, H.; WATANABE, H.; TAGUCHI, Y.; MUSLIM, A.; HYAKUMACHI, M. 2011. Biological control of Fusarium wilt of tomato with Fusarium equiseti GF191 in both rock wool and soil systems. Biocontrol. 56(6):915-923. 30. HOSSAIN, M.M. ; HOSSAIN, N.; SULTANA, F.; ISLAM, S.M.N. ; ISLAM, M.S. ; BHUIYAN, M.K.A. 2013. Integrated management of Fusarium wilt of chickpea (Cicer arietinum L.) caused by Fusarium oxysporum f. sp. ciceris with microbial antagonist, botanical extract and fungicide. African J. of Biotech. 12(29):4699-4706. 31. INAMI, K.; KASHIWA, T.; KAWABE, M.; ONOKUBOOKABE, A.; ISHIKAWA, N.; PÉREZ, E.R. ; MADADI, K.A. 2014. The tomato wilt fungus Fusarium oxysporum f. sp. lycopersici shares common ancestors with nonpathogenic F. oxysporum isolated from wild tomatoes in the Peruvian Andes. Microbes and Environments. 29(2):200-210. 32. INAMI, K.; YOSHIOKA-AKIYAMA, C.; MORITA, Y.; YAMASAKI, M.; TERAOKA, T. 2012. A Genetic mechanism for emergence of races in Fusarium oxysporum f. sp. lycopersici: inactivation of avirulence gene AVR1 by transposon insertion. PLoS One 7 (8):e44101. 33. IOANNOU, N. 2000. Soil solarization as a substitute for methyl bromide fumigation in greenhouse tomato production in Cyprus. Phytoparasitica. 28(3):248-256. 34. INTAGRI S.C. 2017. Ventajas del injerto en tomate y su proceso paso a paso Disponible desde Internet en https://www.intagri.com/articulos/hortalizas/injerto-en-tomate-y-procesos-paso-a-paso (con acceso el 12/10/2017). 35. JONES, J.P.; JONES, J.B.; MILLER, J.W. 1982. Fusarium wilt of tomato. Plant Pathology. Circular N°237. Fla. Dep. Agric. & Consumer Serv. Division of Plant Industry. June 1982. 2p. 36. JONES, J.P. 1991. Fusarium wilt. p. 15-16. In: Compendium of Tomato Diseases. J. B. Jones et al. (Eds.). APS PRESS. The American Phytopathological Society. 73p. 37. JONES, J.P.; OVERMAN, A.J. ; CRILL, P. 1976. Failure of root-knot nematode to affect Fusarium wilt resistance in tomato. Phytopathology. 66:1339-1346. 38. KANT, P.; REINPRECHT, Y.; MARTIN, C.J. ; ISLAM, R.; PAULS, K.P. 2011. Integration of biotechnologies: disease resistance pathology Fusarium. In: Moo-Young M. (ed.). Comprehensive Biotechnology, second edition, Elsevier, Amsterdam. p.729-743. 39. KATAN, T.; SHLEVIN, E.; KATAN, J. 1997. Sporulation of Fusarium oxysporum f. sp. lycopersici on stem surfaces of tomato plants and aerial dissemination of inoculum. Phytopathology. 87:712-719. 40. LARKIN, R.P. ; FRAVEL, D.R. 1998. Efficacy of various fungal and bacterial biocontrol organisms for control of Fusarium wilt of tomato. Plant Disease 82(9):1022-1028. 41. MC GOVERN, R.J.; MC SORLEY, R. 2012. Management of bacterial and fungal plant pathogens by soil solarization. In: Gamliel, A., Katan, J. (Eds. ), Soil Solarization: Theory and Practice. APS Press, Minneapolis, MN. p.53-62. 42. MC GOVERN, R.J. 2015. Management of tomato diseases caused by Fusarium oxysporum. Crop Protection. 73:78-92. 43. MC GOVERN, R.J.; DATNOFF, L.E., 1992. Fusarium crown and root rot of tomato:reevaluation of management strategies. In: Vavrina, C.S. (Ed. ), Fla. Tom. Instit. Proc., Vegetable Crops Special Series, SS HOS1 University of Florida-IFAS, p.75-82. 44. MC SPADDEN GARDENER, B.B. ; FRAVEL, D.R. 2002. Biological control of plant pathogens: Research, commercialization, and application in the USA. Online Plant Health Prog. Disponible desde Internet en http://www.plantmanagementnetwork.org/pub/php/review/biocontrol/ (con acceso el 27/12/2016). 45. MINISTERIO DE AMBIENTE, VIVIENDA Y DESARROLLO RURAL. 2006. Resolución 1047, por la cual se establecen medidas ambientales para la aplicación de la sustancia bromuro de metilo en tratamientos cuarentenarios en Colombia. En: Biblioteca virtual de Medio Ambiente. Disponible desde Internet en: http://www.minambiente.gov.co/images/AsuntosambientalesySectorialyUrbana/pdf/Legislacion/res_1047_120606.pdf (con acceso el 20/06/ 2017). 46. NEWMAN, S.E. 2004 Disinfecting irrigation water for disease management. In: 20th Annual Conference on Pest Management on Ornamentals. p.20-22. 47. NESHEV, G. 2008. Major soil-borne phytopathogens on tomato and cucumber in Bulgaria, and methods for their management. In: Labrada, R. (ed). Alternatives to replace methyl bromide for soil-borne pest control in east and central Europe. FAO. p.1-22. 48. PAL, K.K. ; MC. SPADDEN GARDENER, B. 2006. Biological control of plant pathogens. Plant Health Instr. 2:1117-1142. 49. PANTHEE, D.R. ; CHEN, F. 2010. Genomics of fungal disease resistance in tomato. Curr. Genomics. 11:30- 39. 50. RAMYABHARATHI, S.A.; MEENA, B.; RAGUCHANDER, T. 2012 Induction of chitinase and β-1, 3-glucanase PR proteins in tomato through h liquid formulated Bacillus subtilis EPCO 16 against Fusarium wilt. Journal of Today's Biological Sciences: Research & Review. India. 1(1):50-60. 51. RUNIA, W.T. ; AMSING, J.J. 2001. Lethal temperatures of soilborne pathogens in recirculation water from closed cultivation systems. Acta Hortic. 554:333-339. 52. SCOTT, J.W. ; AGRAMA, H.A. ; JONES, J.P. 2004. RFLP- based analysis of recombination among resistance genes to Fusarium wilt races 1, 2, and 3 in tomato. J. Am. Soc. Hortic. Sci. 129 (3):394-400. 53. SMITH, S. 2007. An overview of ecological and habitat aspects in the genus Fusarium with special emphasis on the soil-borne pathogenic forms. Plant Pathol. Bull. 16:97-120. 54. SOMEYA, N.; TSUCHIYA, K.; YOSHIDA, T.; NOGUCHI, M.T. ; SAWADA, H. 2006. Combined use of the biocontrol bacterium Pseudomonas fluorescens strain lrb3w1 with reduced fungicide application for the control of tomato Fusarium wilt. Biocontrol Sci. 11(2):75-80. 55. SRIVASTAVA, R.; KHALID, A.; SINGH, U.S.; SHARMA, A.K. 2010. Evaluation of arbuscular mycorrhizal fungus, fluorescent Pseudomonas and Trichoderma harzianum formulation against Fusarium oxysporum f. sp. lycopersici for the management of tomato wilt. Biological Control. 53(1):24-31. 56. VALLAD, G.E. ; GOODMAN, R.M. 2004. Systemic acquired resistance and induced systemic resistance in conventional agriculture. Crop Sci. 44(6):1920-1934. 57. VAN DER PLANK, J.E. 1963. Plant diseases: epidemics and control. Academic Press. New York. 349p. 58. VAN EPPENHUIJSEN, C.W. ; PAGE, B.B.C. ; KOOLAARD, J.P. 2001. Preventative treatments for control of fungus gnats and shore flies. New Zeal. Plant Prot. 54:42-46. 59. WATSON, R.T.; ALBRITTON, D.T. ; ANDERSON, S.O. ; LEE-BAPTY, S. 1992. Methyl Bromide: Its atmospheric science, technology and economics. Montreal Protocol Assessment Suppl., U.N.E.P., Nairobi, Kenya. 234p. 60. WESTSTEIJN, G. 1973. Soil sterilization and glasshouse disinfection to control Fusarium oxysporum f. sp. lycopersici in tomatoes in the Netherlands. Neth. J. Plant Pathol. 79(1):36-40. 61. XU, L.; NONOMURA, T.; SUZUKI, S.; KITAGAWA, Y.; TAJIMA, H.; OKADA, K.; KUSAKARI, S; MATSUDA, Y.; TOYODA, H. 2006. Symptomatic evidence for differential root invasion by Fusarium crown and root rot pathogens between common tomato Lycopersicon esculentum and its varieties. J. Phytopathol. 154:577-586. 62. YADETA, K.A. ; THOMMA, B.P. 2013. The xylem as battleground for plant hosts and vascular wilt pathogens. Frontiers in Plant Science. 4:97.